Detailed Nintendo Switch Specs Have Been Revealed | Nerd Much? A host of new Nintendo Switch specs and detailed about the UI have been revealed. It seems like these little tidbits of information will release until launch. Thanks to the Nintendo UK website, we now have confirmation of a number of Switch features including a slightly better look at the Home menu UI. Specifically, the site goes into detail about the News, Nintendo eShop, and Album tabs. Owners of the Nintendo Wii U already are familiar with News and the eShop, but Album is completely new. As you might expect, this is where you can view any screenshots you may have captured during gameplay. These can then be edited with text or posted directly to various social networks. To capture screenshots, all you have to do use press the Capture Button on the left Joy-Con. In a future update, the button will also allow you to capture game footage as well. Additionally, this is the first time Nintendo has officially mentioned the resolution bump while the Switch is docked. 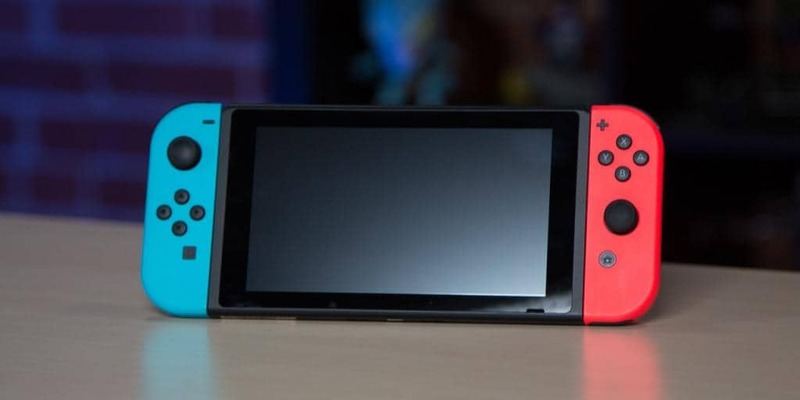 According to the Nintendo Switch specs, the console will run at a maximum resolution of 1920×1080 at 60 frames per second when placed in the dock. When in tablet form, the maximum resolution will be 1280×720 which matches the screen’s resolution. For further Nintendo Switch specs, keep coming back as we get closer and closer to the console’s launch on March 3.